Kevin Panetta is a comic book writer. He has worked on books for properties like Steven Universe, Regular Show, Bravest Warriors, and WWE. His creator-owned series, Zodiac Starforce, is now on it’s second volume and his first graphic novel, Bloom, is published by First Second (2019). Kevin came to writing after years dedicated to comics as a reader, shop employee, and convention organizer. He lives in Washington, DC with his cool wife and two cool dogs. Savanna Ganucheau is a comic artist from New Orleans, Louisiana with a BFA in Film from The University of New Orleans. She made her start in comics by self-publishing and selling her work in small comic book shops around New Orleans. Alongside creating the popular webcomic George and Johnny, Savanna’s artwork has appeared in notable publications including Jem and the Holograms, Adventure Time Comics, and Lumberjanes. 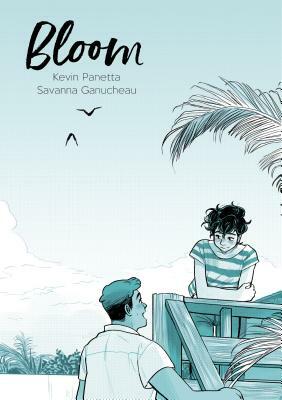 Her first graphic novel Bloom is published by First Second.